Rabbi, former MK, and settlement leader Hanan Porat has passed away at age 68. Rav Hanan Porat passed away Tuesday after a battle with illness. He was 67 years old. Rav Porat was among the leaders of the Jewish return to Gush Etzion after the Six Day War. He was among the founders of Gush Emunim, which led Jewish settlement in Judea and Samaria after the Yom Kippur War. He established the Techiya Knesset faction along with Rabbi Eliezer Waldman, Geula Cohen and Elyakim Haetzni, and served in the tenth Knesset. 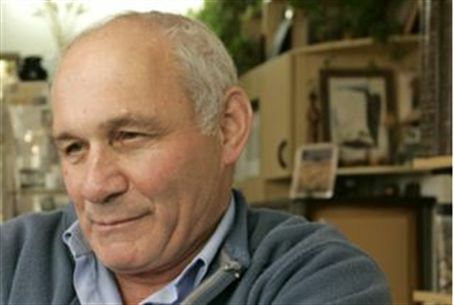 He later joined the National Religious Party (Mafdal) and was elected through that party to serve in subsequent Knessets, in which he held a variety of roles, including head of the Knesset’s Constitution and Law Committee. In August Rav Porat received an award for Jewish Creativity for his books and poetry.